Happy December 1st! I hope wherever you are, you're making plans to enjoy this last month of 2013. I'm looking forward to combinations of chocolate, caramel, sea salt, sugar and spice, and maybe some cacao nibs and coconut to keep me warm as we head into winter. 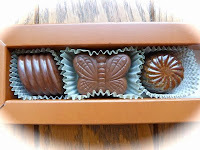 Today's chocolate could spread chocolate wings and head south if need be. 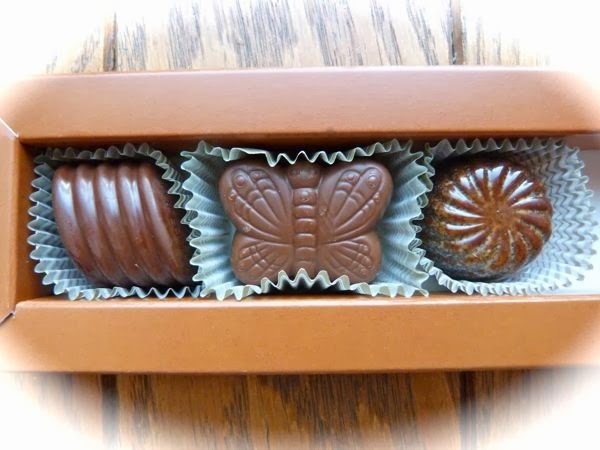 This butterfly-shaped buttery milk chocolate, from B.T. 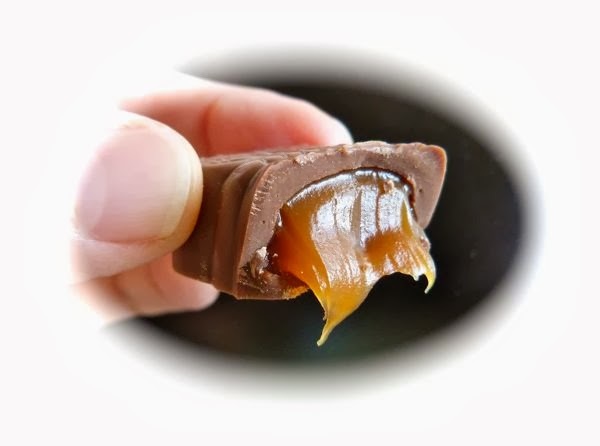 McElrath (Minneapolis, MN), was filled with a silky, flowing caramel center. 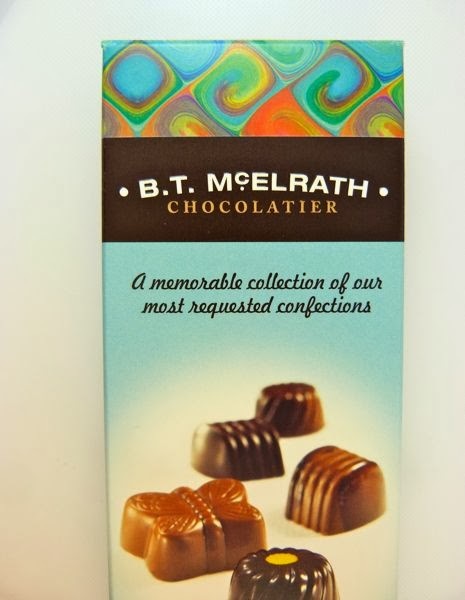 A hint of salt helped balance and round out the rich, smooth sweet taste. Today was Day #2 of Chocolate and Caramel Theme Week.